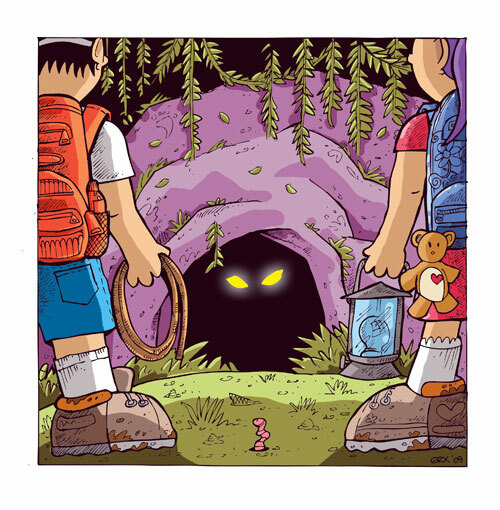 Migrating the core data schema on an iOS app is like a monster in a cave. When I walk by, the monster growls and I back off. Well not today. Today I learned to do a simple migration in an existing core data app and I confirmed what so many others had said. It's strangely easy to do migrations... once you know how. Unfortunately I never found anyone that would explain it, so that's what I'm doing here. Here are the Apple docs for running a core data migration. Somehow I, along with some others, have found these docs both too complicated and short on information. First off, I'll assume that you have a working Core Data app that has a "Model.xcdatamodeld" defining the schema and some data in the database. You don't have to start from scratch, and you don't mess with the existing model. Basically you will add a new version (described below) which starts out looking just like the original model. Click the "Model.xcdatamodeld" file in your XCode project. Then, in the Editor menu at the top of the screen, choose "Add Model Version..."
Click through the wizard & call the new model whatever you want. I left it as "Model 2"
Now you can change this "Version 2" model however you want. NOTE: There are some limitations on what is allowed if you want to keep the migration simple - more info here. If you have to do something complicated that requires special processing (like splitting a field) then checkout the apple docs on custom migrations. This step is critical, and I never found anyone mention it. Choose "Model 2" under "Versioned Core Data Model" > "Current"
You're almost there, but you still need to tell the code that it's OK to run the migration. Next time you run the app, it should automatically add/remove fields/entities to match your new model.